Sometimes old scores get settled in new ways. A week previous, on September 29, Muhammad Ali went the 15-round distance with Earnie Shavers, which in turn meant that Ali had gone 45 rounds in the space of a year, his power quite possibly left in the jungles of Manila two years prior. Sure, Ali had knocked out a couple of Euro cream puffs in Jean-Pierre Coopman and Richard Dunn, but it sure looked like the rest of the career of the Greatest would be contested at the longest possible distance. The spooks at the CIA noticed. For years, they’d been looking for a measure of vengeance after Ali’s rallying of public support, especially in the black community, against the Vietnam War, and as Ali aged and as his image in the public continued to round into the form that would make him a folk hero, quite a few of the sorts of buzzcut-wearing, jingoistic believers in the junta whose job it was to make the quietest hell started to think that this simply could not stand. Nobody can prove that Igor Vysotsky’s decision to defect after his split decision loss to Greg Page in a fight that was a classic example of a home-cooking decision (all accounts are that Vysotsky won every round) was the Russian’s decision alone. But at the same time, the fact that shortly thereafter, he was tabbed in what would be his first true pro fight to fight Muhammad Ali, with Leon Spinks having the rug yanked out from under him? Then you throw in the fact that the WBA sanctioned the fight as being for the undisputed heavyweight championship of the world and set the date for February 15 and the venue for Madison Square Garden, and it’s plain to see that this was no ordinary US-Soviet effort at detente. Whatever the circumstances, Ali himself had no choice but to go along, since he may have been able to take the moral high ground on the Vietnam War, but to duck out on a Soviet challenge on American soil for the heavyweight championship of the world? That would be tantamount to outright telling the public that the big scary black man was a Communist sympathizer. Not that any of this crept into Ali’s public persona. After all, the chance to be Captain America and Batman rolled into one in Gotham was too good an opportunity for the ego of the man from Louisville. The fight was announced a week later at a press conference that cast Vysotsky as a wrestling heel, and the public simply ate it up and came back for second helpings. There were questions about whether the fight would go on when the storm swept through the area; even the city proper closed its schools, and New York City never closes the public schools unless all hell has broken loose in the form of a hurricane or a terrorist attack. Meanwhile, Vysotsky wasn’t talking. Snowed in at a boxing gym on the Lower East Side where he had been training, Vysotsky and trainer Panama Lewis, alongside an “advisor” whose “name” of Mike Leary was almost assuredly not the one on his birth certificate continued to hone their fight plan. Rumors began to float around about guys brought in for sparring who came out of those sessions looking like they’d been beaten in the head with nightsticks, ending up with broken noses, shattered orbital bones, detached retinas…and funnily enough, all these images that were “suppressed” and “leaked to the press” were dismissed by the media types as a pugilistic bit of Soviet propaganda…from a guy who’d defected. Something wasn’t right, but whenever the New York State Athletic Commission or the NYPD sent someone in to investigate, Mike Leary saying “let me do the talking” always got them to back off. With a week left until the fight, all we knew for sure was that Igor Vysotsky, or someone around him, was not messing around. 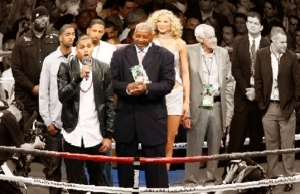 Arthur Mercante had originally been considered to referee the title fight in which Alexis Arguello seized his destiny at 130 pounds on January 28 in Puerto Rico. He was ultimately passed over for that assignment by the WBA in favor of Larry Rozadilla, which meant that Mercante happened to be in New York when the snow fell, making him an ideal candidate to officiate the Vysotsky-Ali fight. The choice of referee was well-received by the Vysotsky camp, a bit surprising since Mercante had been the third man in the ring for several of Ali’s prior fights, including the first fight with Joe Frazier, and Mercante had consistently, on those occasions where the referee scored the contest, scored the bout by the best margin for Ali out of the official counts. So why did the Vysotsky camp not object—besides the obvious fact that they could hardly have been in a position to dictate terms between a Soviet and American fighter on US soil with the public whipped into a patriotic frenzy the likes of which were rarely seen in the economic and social malaise of the late Seventies? It passed without comment, but on his way to the ring walk, Panama Lewis handed Vysotsky a small black bottle from which the fighter took a hearty swig…and the ferocity in his eyes, that of a Siberian timber wolf, well that was something that the announcers noticed when Vysotsky stared down Ali in the ring as Mercante gave the instructions in advance of the opening bell. Ali outboxed Vysotsky early, but as the first three rounds passed, it was clear that the Russian had a little something extra on his punches. Ali, on those occasions when Vysotsky landed, clearly reacted in a way that suggested he’d been hit a lot harder than the apparent force of the blows. Dundee demanded an explanation from Mercante…but Arthur shut him down simply by saying the gloves had been inspected before the fight and to stop complaining. The sidelong glance the referee made in the direction of the mysterious Mr. Leary ringside? It passed without comment. Leary, for his part, just stoically looked on as the fight continued. 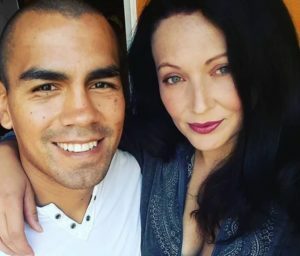 Blood began to pour from the nose of Ali after a straight right landed flush in the fourth round, and swelling began to form around the eyes. It was just like the fate that had befallen Vysotsky’s sparring partners, but Ali stood up to the abuse well, fighting defensively, staying on the ropes, and generally trying to find any angle to land the killer shot that would change the momentum of the fight. Trouble was, 1978 Ali simply did not have that left in him. In Manila, maybe. In Kinshasa, without doubt. But in Madison Square Garden, with a still-thick cover of the best Mother Nature had to offer in a winter wonderland outside, the romantic heart of the previous day for lovers everywhere gave way to a different kind of heart, the heart of a lion as a man was pushed to his breaking point by a never-ending barrage of the worst sort of punishment as can be devised by leather-clad fists. Even with an above average punch volume, Vysotsky never seemed to tire. He was driven as if by an unnatural force from the gods to continue to pour on the punishment, the assault becoming a slaughter, while Arthur Mercante continued to adopt the viewpoint that if Ali did not hit the canvas, then there was no cause to stop the fight. The pro-Ali crowd was dead silent; you could practically hear the footsteps of the rat in the bowels of the arena going about his rodent business while the humans did battle above. This had ceased to be a fight, it had ceased to be sporting spectacle; this was a public execution, a funeral, a murder. When the bell rang to end the fifteenth round, and the wide unanimous decision was announced in which Vysotsky won the heavyweight championship of the world by eleven rounds to four on all three scorecards, not even the most jingoistic judge able to conjure a means by which the American fighter had won a single round more, Ali, who by this point looked like he’d been beaten with a baseball bat, slumped over…and lost consciousness on the stool. 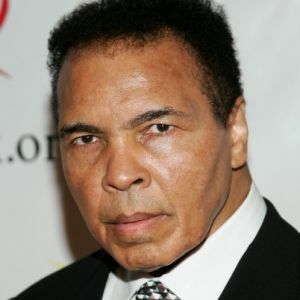 The post-fight pleasantries were cut short as Ali was rushed to Presbyterian Hospital; three days later, on February 18, 1978, having never regained consciousness, the man born Cassius Marcellus Clay and known to the world as Muhammad Ali passed away from a cerebral hemorrhage. He was 36 years old. Meanwhile, nobody could locate the newly-crowned heavyweight champion of the world. Igor Vysotsky had gotten into a taxi outside of the arena, presumably to take him back to his home on the Lower East Side, but nobody saw hide nor hair of either the cab or its passenger, leading to a month of speculation as to just what had happened to the man. Vysotsky finally emerged in Moscow on March 17; Soviet General Secretary Leonid Brezhnev had debriefed the defector; it turned out that Vysotsky’s services had been clandestinely acquired by the Americans because they needed a disposable villain for what essentially amounted to a hitman’s job. Brezhnev obliged, and the Carter administration significantly increased food aid to the Soviet Union as a poor harvest had led to localized famines throughout Russian territory. Meanwhile, the boxing gloves and hand wraps used by Vysotsky in the fight had also gone missing; there was speculation that Panama Lewis had removed the padding from the gloves in order to allow Vysotsky to essentially punch Ali with bare fists protected by plaster-impregnated hand wraps and a sheath of leather. Without any proof of wrongdoing by Panama Lewis, with the key witness in the form of the fighter himself safely tucked away in Moscow, and with any thought of restoring the championship belt to its rightful owner thwarted by the cold winds and colder fates of the City That Never Sleeps, the heavyweight championship of the world stood vacant. Who would step into the power vacuum remained to be seen. We move away from the heavyweight division to a different, and much less George R.R. Martin-ish creation of a power vacuum. Carlos Monzon’s decision over what to do with the middleweight championship of the world was an open question in July of 1977…but as 1978 dawned, it became time for a day of reckoning at 160 pounds. 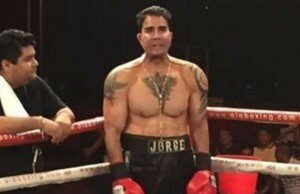 We examine who steps up…and make a side trip to Puerto Rico, where a Nicaraguan political exile is making quite a name for himself at junior lightweight. 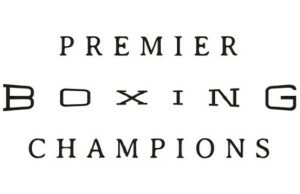 As for the heavyweight division…don’t worry. We’ll come back to it soon enough. Stay tuned, next Tuesday at noon Eastern, 9 AM Pacific, for your weekly dose of boxing alt-history as What If: One Champ Per Weight continues. 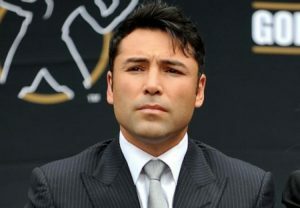 Fox Doucette covers boxing news and trends for Boxing Tribune News and writes the What If and Historical Fight Night alt-history series for The Boxing Tribune. Yes, seriously, this is going on a weekly schedule you can count on, written a bit in advance. Noon Eastern. Just in time to read on your lunch break at work. 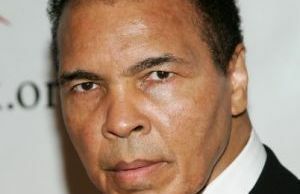 Fan mail, hate mail, and “you didn’t SERIOUSLY kill Muhammad Ali? !” can be sent to beatcap@gmail.com.